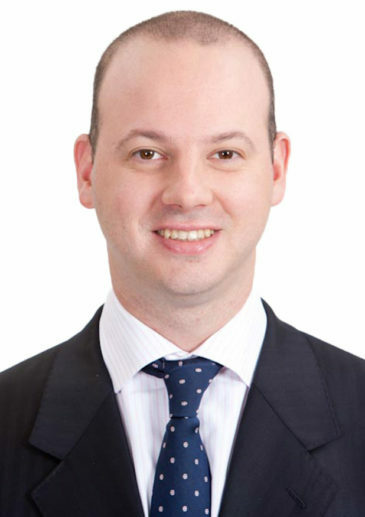 Charles is a young partner in the Johannesburg office and a member of the Firm’s Mergers and Acquisitions Practice. He has significant experience in implementing high-end and complex corporate transactions for clients. He aims to provide legal advice which is both legally sound and commercially relevant to clients. He advises on all forms of corporate transactions (takeover bids, private acquisitions and disposals, mergers, joint ventures, restructurings, demergers, black economic empowerment transactions, listings and all forms of equity raises). He also advises more generally on company law, securities law (including market abuse and insider trading, prospectus requirements and stock exchange requirements) and corporate governance. He has a particular interest and experience in the area of public takeover bids having advised both bidders and the independent board of the target on a number of occasions both in the context of friendly, competitive and hostile bids. He has advised a number of international trade and institutional investors on inward investments in the Southern African and wider African market places, as well as local South African investors on outward investments. His clients include local listed companies, multinationals, institutional investors, private equity houses and BEE investors. His whole career has been spent at Bowmans, other than 2008 and 2009 when he practiced in London at one of the leading City law firms. Fairfax Africa on its equity and debt investment in Consolidated Infrastructure Group pursuant to the recapitalisation of Consolidated Infrastructure Group by way of simultaneous debt standstill, underwritten rights offer and convertible loan. Lixil on the buy-out and exit of its joint venture partner, JSE listed Dawn, from Grohe Dawn Water Technologies. Riskowitz Value Fund on its mandatory bid for Finbond. Brainworks on its IPO and primary listing on the main board of the JSE. Associated British Foods both on its initial partial offer for Illovo Sugar in 2005 and its subsequent 100% takeover in 2016. The Independent Board of Digicore on Novotel Wireless’s takeover bid. The Independent Board of Wescoal following the receipt of an unsolicited takeover bid. The Independent Board of Control Instruments on Torre’s takeover bid. South American drug producer, CFR Pharmaceuticals, on its contested takeover bid for Adcock Ingram. Wescoal Holdings on its black economic empowerment transaction. One Thousand and One Voices on various strategic acquisitions and investments. African Rainbow Capital (Patrice Motsepe’s new financial services investment vehicle) on various strategic acquisitions and investments. Ubuntu-Botho Energy, Patrice Motsepe’s renewable energy investment vehicle, on its investment in Bill Gates’s US$1 billion clean energy fund, Breakthough Energy. SABMiller in respect of the combination of bottling operations of The Coca-Cola Company, SABMiller and Gutsche Family Investments’ (majority shareholders in Coca-Cola SABCO) in Southern and East Africa to create Coca-Cola Beverages Africa, forming the biggest bottler of soft drinks in Africa and the 10th largest in the world. MTN on the acquisition of the MTN subscriber base of Altech Autopage. Commonwealth Bank of Australia on its entry in the South African market through the acquisition of Tyme Capital.